On October 12, 2013 I will be participating in the a local Race for the Cure event. I have joined Team FORCE and will be walking (nope, not racing) in memory and support of our loved ones who have battled breast cancer AND to help raise hereditary breast and ovarian cancer awareness. I am stoked to be participating in this event and hopefully meet more women like me right in my own back yard! As most of you already know, FORCE: Facing Our Risk of Cancer Empowered (www.FacingOurRisk.org), is the only national non-profit dedicated to improving the lives of individuals and families affected by hereditary breast and ovarian cancer. People like me. We are going to have a ton of fun at this event. Teal and pink paraphernalia WILL be involved. I got some teal knee high socks and a pink afro wig. Pics to come … I promise. Our team is already at 28 participants and we have only been at it for a little over a week! We currently have seven corporate sponsors with more on the way! 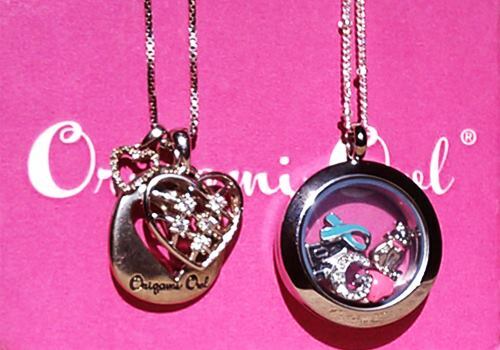 One of our sponsors is my friend who is an Origami Owl Independent Designer. She will be donating 20% of sales (pre tax and S&H) to FORCE! How OWLsome is that? HOO is going to help us out and order an Origami Owl locket? 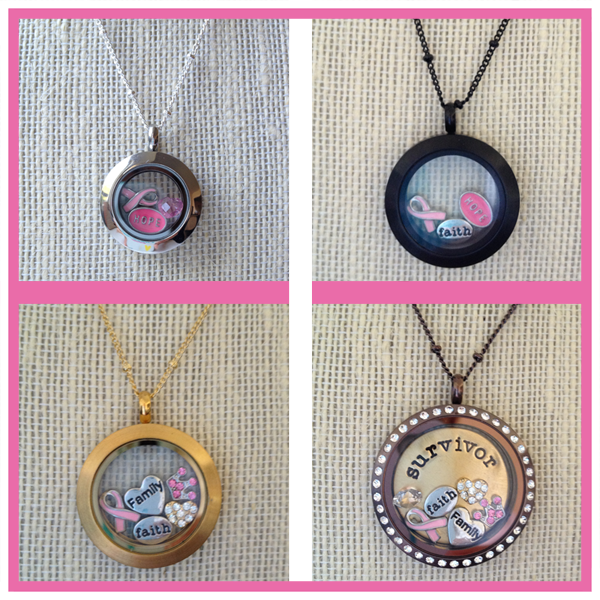 There are four pre-designed breast cancer related lockets (see below) or you can create your own, as I did. Mine arrived on Friday and it is so awesome! I ordered a locket with five charms (pink heart with wings for my sister who died from BC, teal ribbon for my mom undergoing treatment for OC, LOVE for the rest of my family, girl cat for my two furbabies, and a G). I also ordered a charm for another necklace. Aren’t they really cute?!? 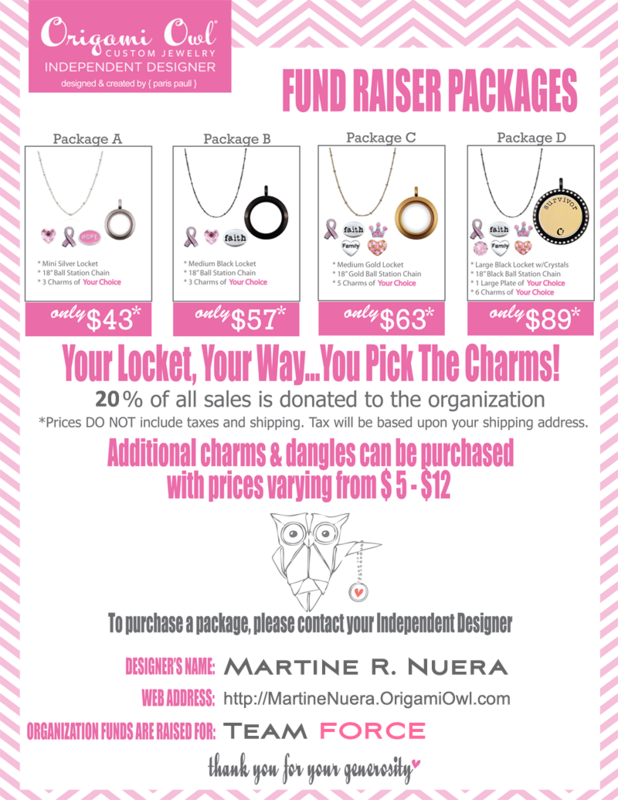 If you are interested in supporting FORCE and getting some great jewelry, visit our designer’s website and make sure to select Team FORCE Fundraiser at checkout: http://MartineNuera.OrigamiOwl.com. 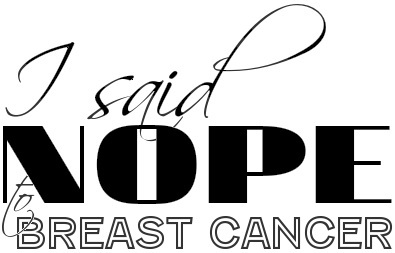 This entry was posted in All and tagged breast cancer, Charm, HBOC, Hereditary breast and ovarian cancer, Locket, Mastectomy, prophylactic, Race for the Cure, Susan G. Komen, Team FORCE on September 21, 2013 by nope2BC. I wish so much that I could join you ladies at Race For The Cure, Team FORCE! I’ll be there in spirit! Just ordered my origami owl locket 🙂 Thanks for promoting this fundraiser! That’s wonderful, Sandra! Thank you for your support!!! THANK YOU SO MUCH FOR YOUR SUPPORT! Really appreciate it. I hope you love your Origami Owl locket. I do love mine! Haha! So excited about it, I replied twice (three times now) :D. Got any pics of your locket?